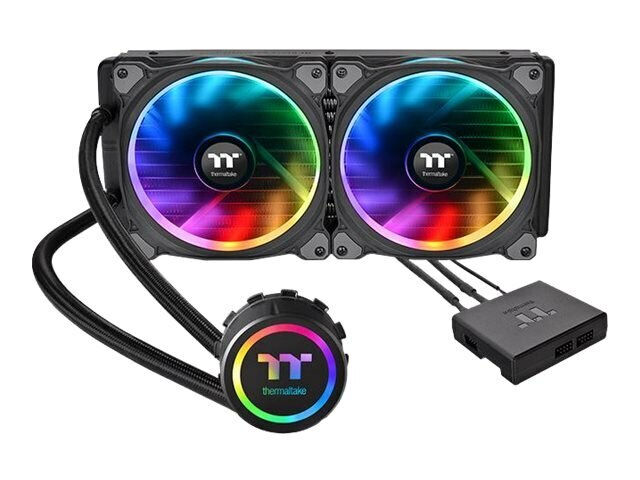 The Floe Riing RGB 280 TT Premium Edition is the 16.8 million colors liquid CPU cooler with two 140 mm Riing Plus RGB fans and a LED waterblock. This cooler series features its extraordinary performance and superior quality. The large surface radiator plus high-performance waterblock and pump guarantees ultimate CPU cooling. Besides, the waterblock and the fans are manufactured with multiple addressable LEDs.